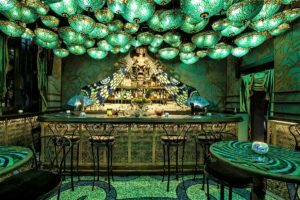 Such is the belief of interior designer Ashley Sutton, who is best known for his other-worldly, visually-captivating design of bars. “Iron Fairies” in Hollywood Road, Central in Hong Kong – as well as versions in Bangkok, Tokyo and Kuala Lumpur – “Maggie Choo’s” and “Sing Sing Theater” – both in Bangkok – and “J. Boroski” branches in Hong Kong’s Central and in Bangkok; are amongst the most iconic bar interiors created by the Australia-born designer. Yet it was never his intention to be a designer. “I only wanted to build boats growing up. I fell into design by unexpected life events,” Mr Sutton told Innovation Hong Kong in an interview. “As a self-taught designer you see things from a different perspective. It’s a fairy tale coming to life; whimsical and detailed,” he added. Previously he worked in the mining industry, and at that time took to making sketch drawings of fairies. The hobby eventually turned into a three-volume series of storybooks, called “The Iron Fairies”. The professional miner’s side-job storybooks were later to spawn the Ashley Sutton Design business. Iron Fairies “was the first” bar venue created “based on my books,” he explained. The Iron Fairies venues in Bangkok, Tokyo, Hong Kong and now Kuala Lumpur are “sisters that resemble the story” that he wrote, Mr Sutton said. The interior designer has partnered with a Hong Kong-based operator of restaurants and catering management service, called Dining Concepts, in order to convey his whimsical designs across six Hong Kong bar projects: Iron Fairies, “Dear Lily”, “Dragonfly”, J. Boroski, “Ophelia” and “Yojimbo”. “They are not built to try to become eccentric nightlife destinations,” said Mr Sutton said, adding that each space reflects the “nature” of the venue. “I used to manufacture fairies and I wanted to create a good working space which represented my Iron Fairies books that I had previously written, said Mr Sutton, referring first to representations of the mythical beings, and second to how that initially translated into design for an urban living space. “I wanted to help my staff understand what they were making, to inspire them, so I created a ‘fairy factory’,” said the designer, elaborating on the design principle that led to the bar collaboration with Dining Concepts. “People loved the space and would come in and watch us making the fairies. Eventually, landlords started coming to me and asking me to create spaces for them too,” he added. Entomology has been a motif in some of the bar projects on which Mr Sutton and Dining Concepts have collaborated. This has included preserved butterflies at Iron Fairies; beetles at J. Boroski; and dragonfly motifs at Dragonfly. “Butterflies and fairies live among each other, it just makes sense. I don’t add animals for the sake of it. When they are included it’s because it just feels right,” Mr Sutton explained. “The dragonfly symbolises hope in times of hardship. It balances out the harsh metal in the venue and at the same time comments on the zeitgeist” the designer added, referring to the spirit of the times. 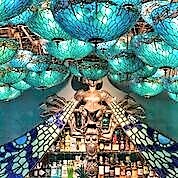 The bar Dragonfly – which has a ceiling studded with turquoise-coloured lampshades bearing dragonfly patterns – is a project that involved Mr Sutton paying homage to what he called “the artistic genius” of Louis Comfort Tiffany, son of Charles Tiffany, founder of the luxury jewellery retailer Tiffany & Co. The junior Tiffany is best known for his stained-glass work and iconic mosaic lamps. The dragonfly motif was one of the Tiffany brand’s signature designs for its lampshades. The Dragonfly venue is a project designed to match the history of the building in which it is housed, the designer stated. “Dragonfly resides in Tai Kwun [in Central, Hong Kong]. The history of the old police station dates back to 1841. 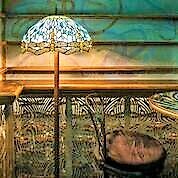 I felt the inspiration of art nouveau (1890-1910) would only make sense there,” Mr Sutton explained. The bar and restaurant Dear Lilly, in contrast, carries a romantic theme. This project had created “surprising synergy” with the venue in which it is situated – the IFC Mall – the designer suggested. “Dear Lilly was an idea I couldn’t stop thinking about after reading love letters from World Wars One and Two. 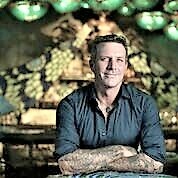 I kept the idea until my partner Dining Concepts came across a venue appropriate for it,” Mr Sutton said. Designing a place was about creating an experience linked to the venue. In such matters, choosing – or working with – an irregular floor plan could be helpful, the designer believed. “Irregular and odd is not a limitation. It creates interesting nooks and alcoves,” Mr Sutton remarked. “My projects are always painstakingly detailed: it’s worth it. The venues I design live, breathe, almost. Like a living being, from time to time pieces change: the wooden bar counters need oil like your skin; metal surfaces begin to shine by daily touch; butterfly wings and peacock feathers need replenishments like your hair,” he stated. Mr Sutton said innovative solutions for an interior design did not necessarily involve the use of extravagant technology. “My innovation does not lie in fancy technology but in immersion and unexpected design: however I do not shy away from it in my research,” he said. “For Yojimbo we explored projection on mist and film for example”, Mr Sutton said. He “decided against it” to maintain the clarity of the light offered by the original lighting design,” he added. Yojimbo’s design was based on “underground nightlife in Tokyo”.